If the noise and chatter of a gas-powered lawn mower set your teeth on edge, an electric mower (either battery-powered or mains powered) may be just the tool you need. However, they don't work in every application, so you'll need to consider your choice carefully to make sure you're not struggling with an under-powered mower. Once you've read this article, have a look at our reviews of the best cordless lawn mowers, the best corded mowers and the best gas lawn mowers. Are you climbing steep slopes and clearing tall grass when you’re mowing the lawn? The terrain of your yard is critical when considering which type of mower to get. When you're mowing uphill, a gas-powered self-propelled mower can be a necessity. However, if your lawn is fairly flat, there's little difference in power needs between gas and electric lawn mowers. 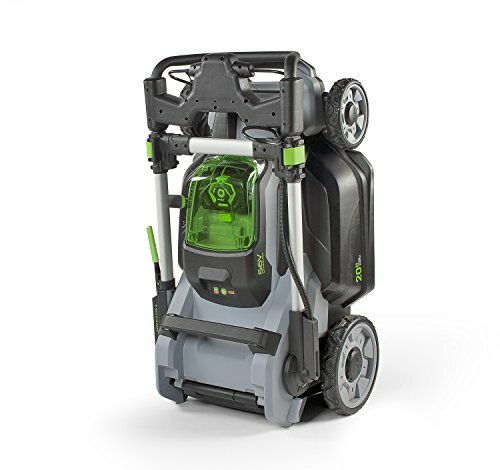 If you do choose a cordless electric mower, it's a good idea to have a spare battery on hand, and keep one in the charger when you start your mower. Finally, remember this critical point: Regardless of the type of mower you use, always keep your blade sharp! Dull blades tear rather than cut grass and may leave it weak and at risk of disease. What Noise Restrictions Are You Facing? Depending on your location, the noise of a lawnmower may not only be unwelcome but can get you in trouble with your neighborhood. When considering what mower to get, remember that an electric mower will make for happier neighbors. Electric mowers also release fewer emissions and offer you a chance to walk (and work) more lightly on the earth. If your yard is large or has terrain challenges, you'll probably have a faster mowing experience with a gas-powered mower. Depending on where you live, the day may heat up quickly. For those who need to mow quickly, before things get dangerously hot, a gas mower is a good choice. For those in regions with high humidity and the risk of heavy dew, you'll need to start later. If extreme heat is not a risk and you have a fairly flat lawn, an electric is a good choice. Be aware that many electric mowers offer a low setting; this is a setting of slow mowing but great power, so tall or thick grasses will take more time. How Far Will You Be From A Power Point? If you have a large yard & want to use a corded electric mower, make sure you have an outdoor power socket within about 100 feet of the furthest extent of your lawn. It’s not usually recommended to use extension cords for distances over 100 feet, as the wire size is not normally large enough to safely operate the electric motor when the extension cord gets too long. Don’t be tempted to use multiple extension cables to make up the length, and make sure the cable you do use is rated for the power of your mower. What Storage Restrictions Limit You? If you have a garage or garden shed, storing your gas-powered mower isn't a problem. However, if you have limited storage, finding a spot for your mower and gas can may be problematic. Storing anything flammable in a facility attached to your home requires careful consideration. Gasoline storage is a critical issue, particularly if you don't have an outdoor storage building for your gas can. Gas needs to be kept away from heat and out of the sun. This is also a concern when you're refueling your mower; if your cordless mower runs out of fuel, you just need to change out the battery. If your mower conks out, you need to let it cool before you add more gas. Many electric mowers (such as the EGO pictured) can be folded up to a small size, and even hung on your shed or garage wall. Gas mowers can’t be hung on a wall, and usually can’t be easily folded, so they need more storage space. Do You Have Access Restrictions? If you wish to move your mower between your front yard & rear yard, make sure you have sufficient access between the two spaces. Electric mowers (particularly mains-powered mowers) tend to be smaller and lighter than gas powered mowers, so if you do have limited access this may force you to use an electric mower. You wouldn’t want to be lugging a heavy gas mower through the house! Both gas and electric mowers need basic clean-up. Clear grass off the deck and remove wet grass from under the mower. When cleaning your electric mower, be sure to keep an eye on the blade edge and pull the battery or disconnect the power cord, so nothing can power up while you're close to the blade. However, gas mowers need a lot more attention and should undergo an annual check-up, including changing the oil and a new spark plug. It's important to remember that gas can get old and leave deposits in your mower, so it's a good idea to run it until it's out of gas in the fall so you leave as little gas residue in the tank as possible. Unless you know how to do this maintenance, you may need to pay for someone to come out and service your gas mower, or find a way to take it to a shop for maintenance. 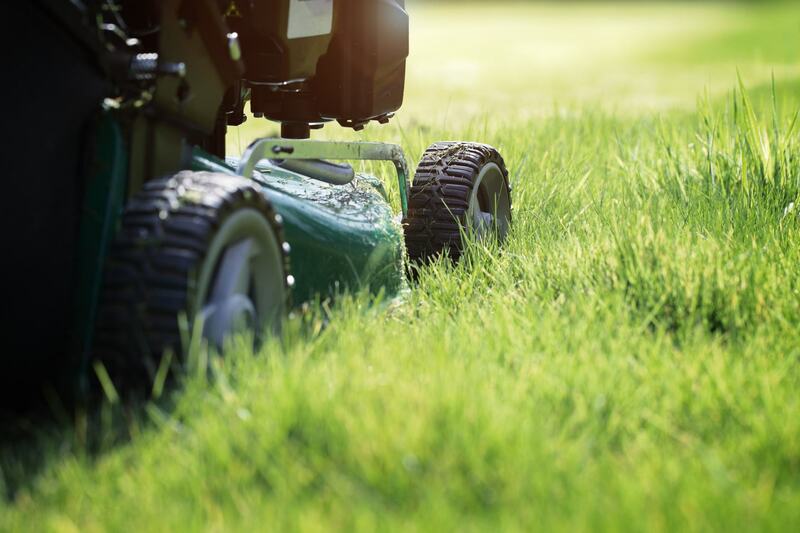 Ultimately, your lawn conditions will let you know whether you need the power of a gas mower or if a battery-operated mower will work for your yard. If you have a lot of lawn to cover, rough terrain or extreme slopes, an electric mower may not be able to handle the work. For small, level lawns, a gas-powered mower may be more power and expense than you need.